The Main Menu with the course selected. Course enrollments. Review and manage course enrollments. 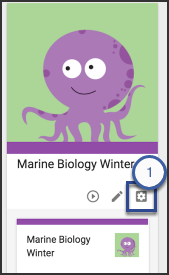 Enrollments should be limited to Teachers and other content authors. 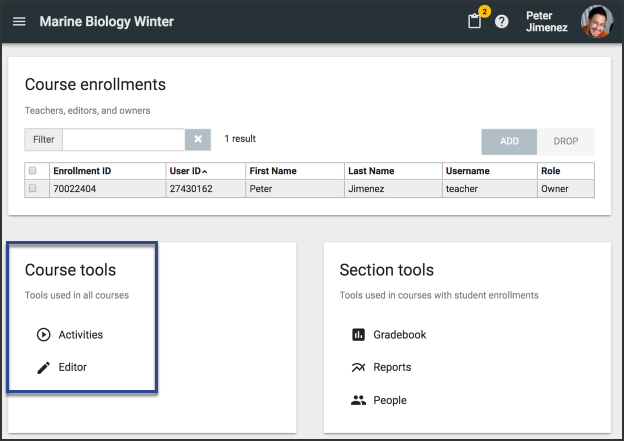 To drop enrollments, check the box next to the enrollment and click Drop. Select the desired Role from the dropdown. 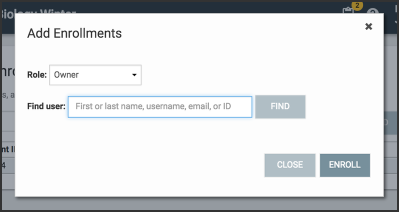 Use the Find user field to search by names, username, email, or ID. Once you've found the desired user, click Enroll. 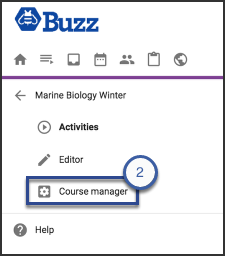 Use the Course tools (Activities and Editor) to create, review, and manage settings, content, and activities for the Master course and its Derivative courses. Although enrollments in Master courses should be limited to teachers and other course authors, there are times that a course with student enrollments may be turned into a Master course. 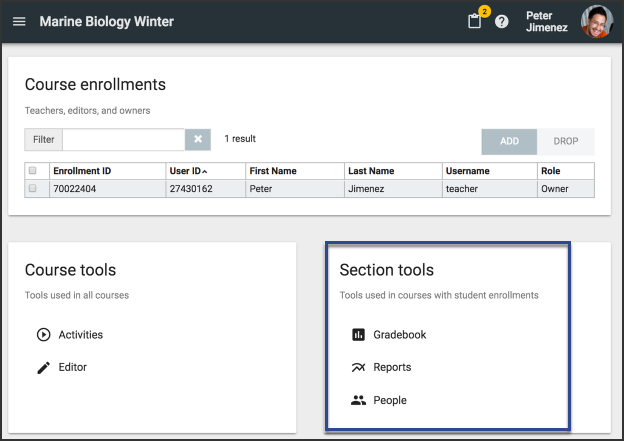 In these cases, you can use the Section tools (Gradebook, Reports, and People) to access that data.